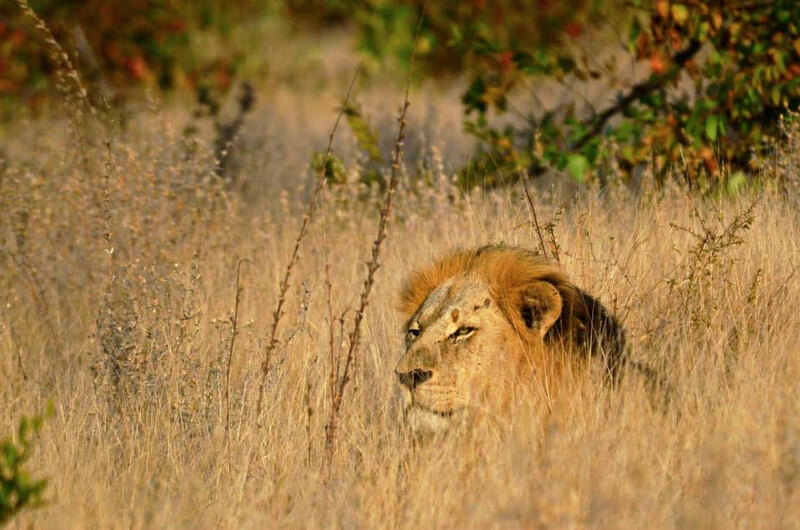 For most travelers, a Kruger Park safari is a once-in-a-lifetime dream trip. Yet the majority end up on a standardized package, with mixed groups of tourists, generic itineraries and jockeying for the best position to see wildlife. That’s why we do things differently! And it doesn’t cost more. Only you. No-one else. No strangers. No sharing. No conflicting interests. No clashing agendas. No fighting for the best seat and view. 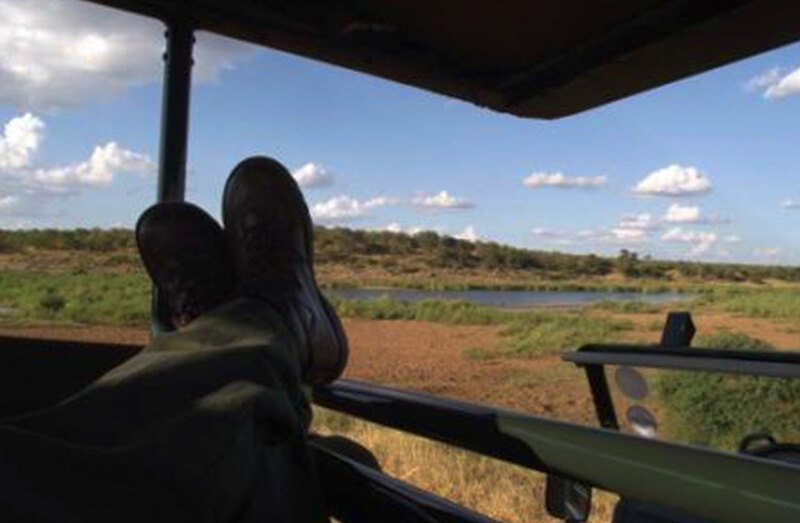 It’s the ultimate in flexibility, comfort and wildlife viewing. The tariff for 6-10 people includes the cost of a safari trailer which frees up the space on the safari vehicle. Luggage for 1-5 people fits out of the way on the safari vehicle but more than 5 people require a separate trailer. The Kruger Park offers a wonderful diversity of camps and a range of accommodation. Best of all… you are staying deep IN the park. Only a fence separates you from the wild African bush. The rest of the world could be a million miles away! You are completely and utterly remote, yet have the creature comforts at hand if and when you want them. There is the perfect accommodation to suit your interests, needs and budget. From the charming traditional round thatched huts – to safari tents – to luxurious bungalows – to private camps – to beautiful luxury safari tents on raised platforms out in the middle of the African bush. 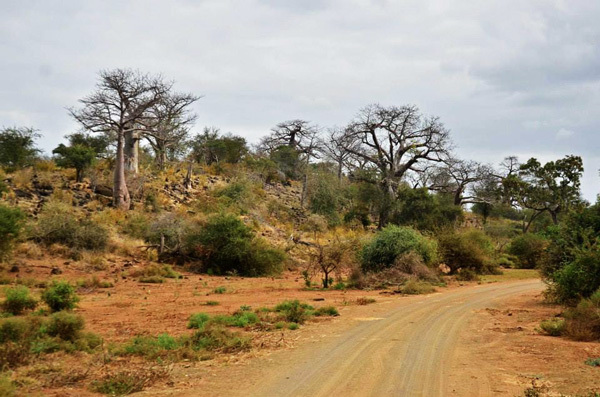 You can even spend the night in a charmingly rustic bird-hide overlooking a waterhole! 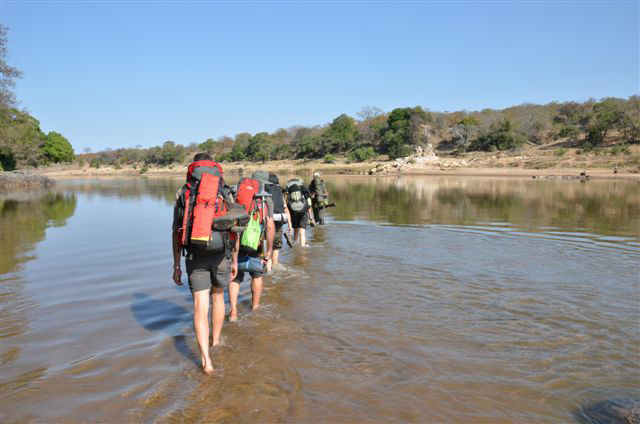 All the camps are situated in amazing locations, usually on the banks of a river – and the views are spectacular – nothing but bush-veld as far as the eye can see. You can sit out on one of the decks (or just on the lawn) and watch the animals coming to drink. At night, it is so utterly dark in the park with no city light pollution that you will be dazzled by the brilliant stars above. 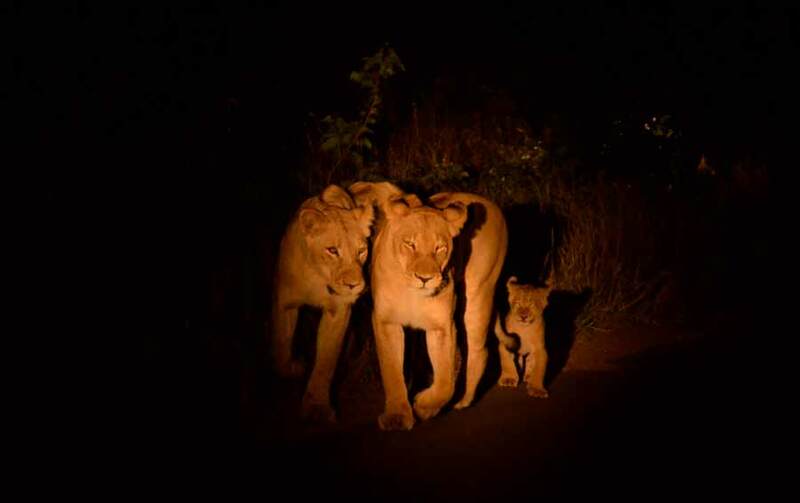 And you can listen to the fascinating sound of the African bush at night… the lion’s roar tells you that you are close to the heart of this fascinating continent. You choose the accommodation that best suits your needs and budget (but be assured all the camps are simply wonderful!! We will help guide you to choose the accommodation that suits you best. 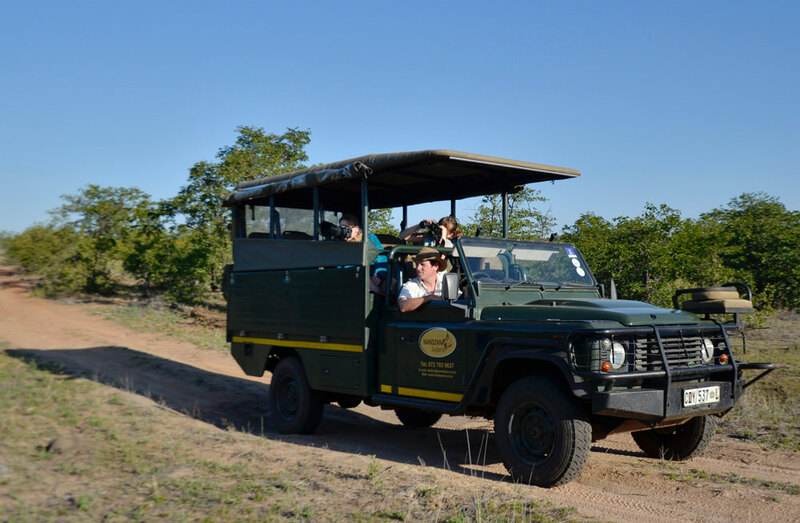 We make all the enquiries, bookings, arrangements and confirmations on your behalf and provide you with an itemized accommodation booking plan from the Kruger Park. 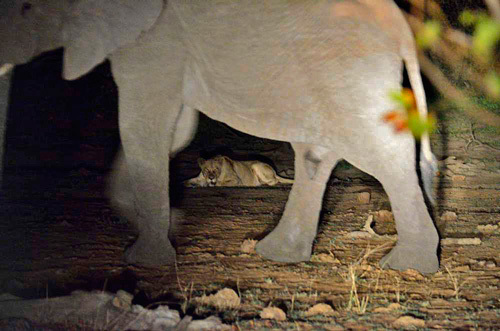 The African bush at night is a mysterious place and to experience it in an open safari vehicle is a unique experience. On the 3-hour night safari you venture out into the dark in search of nocturnal animals and to experience the African bush by night. Night drives are offered at all the rest camps. 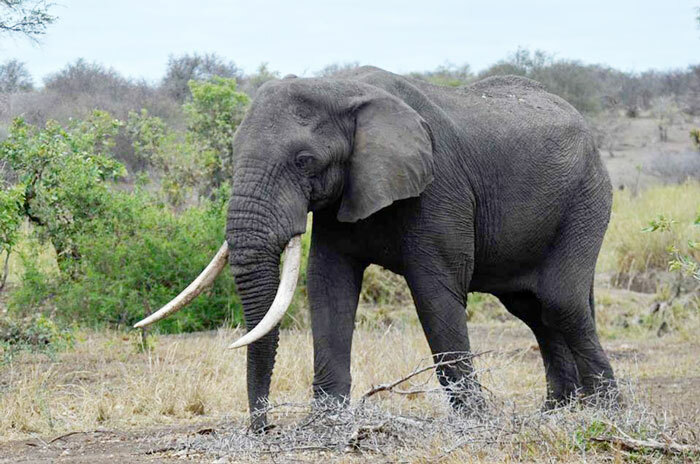 From coming across a herd of giraffe, to seeing elephant, to discovering the mysteries of a termite mound, these experiences become incredibly meaningful when you feel Africa through the soles of your feet on a 3 hour bush walk with highly experienced guides. Bush walks are offered at all the camps. Rates depend upon at which camp you are doing the activity. We'll get accurate quotes for once you decide upon your accommodation. The rates also include a 1% community levy. Everything will be based on YOUR interests, time frame, accommodation preferences, and budget. Whether you’re planning a beautiful getaway with your partner, a family safari that educates and excites, a honeymoon steeped in the peerless romance of Africa, or simply the adventure of a lifetime, we can help you create the perfect safari that will leave you with extraordinary memories you will never forget. COST: Nothing. We charge nothing to help you plan your perfect dream safari! It starts now, with the planning! It is incredibly exciting fun to plan a safari. Frankly, we love it! We discuss everything that you want to see and do along with your expectations and dreams… it is the only way we can create the perfect balance of learning, adventure, fun, inspiration and enchantment you… so we can help you design a perfect once-in-a-lifetime safari that you will never forget. And to request as much information as you need on any aspect of your safari. No question is too small or inconsequential. Our aim is to ensure that we create a safari for you that will leave you wanting nothing more than to stay in Africa forever!